Have you ever given a gift to someone only to learn later that they never used it? A friend once gave me a piece of art at a time when I was extremely busy. Because I couldn't figure out immediately where to put it, I stuck it in a closet until I could give it some thought. Well, as you could imagine, I ended up forgetting all about it until about a year later when my friend visited my home again. He looked around my house and he said, "Well, how do you like the painting that I gave you last year?" My face turned red as I responded, "What painting is that?" Then he looked at me and said, "Well, I guess that answers my question. If you had liked it, you certainly would have used it." Well, something like this is true with Christian theology. As followers of Christ, we believe that God has given the gift of his self-revelation to all of us, and we show how much we appreciate it by how much we use it. This is the third lesson in our series Building Your Theology , and we have entitled this lesson "Relying on Revelation." And we will explore how to make use of God's revelation as we develop our theology. 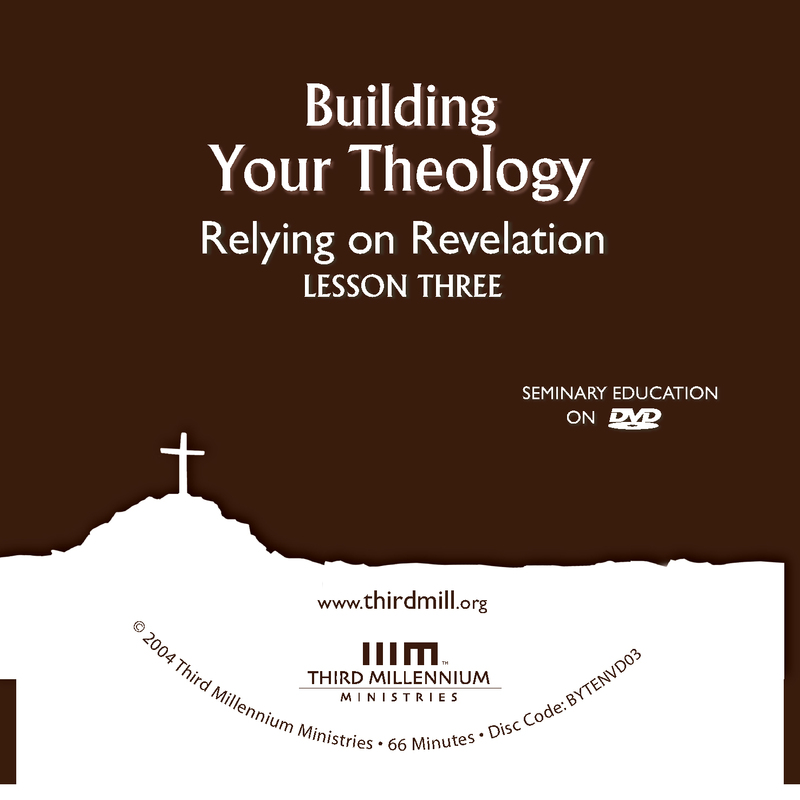 This lesson will divide into three main parts: first, we will explore what the Scriptures teach about revelation and where to find it; second, we will examine some of the more important dynamics involved in understanding God's revelation; and third, we will see how to develop confidence in the theological conclusions we draw from God's revelation. Let's begin by looking at where we find God's revelation. With rare exceptions, for the past two millennia, Christian theologians have agreed in one way or another that divine revelation must play a central role in Christian theology. The belief that God has revealed both himself and his will to us reaches back to the earliest pages of Scripture. It comes to us through the faithful witnesses of the Old Testament, through Jesus, and the writers of the New Testament. But knowing in theory that God has given us this precious gift is not enough. We must know where to find it. As we explore this subject, we will touch on three issues: first, we will look at the doctrine of general revelation: second, we will explore the doctrine of special revelation; and third, we will examine the interconnections between these two forms of revelation. One of the principal ways God has revealed himself to humanity is what we often call "general revelation." We use the term "general" to indicate that God reveals himself through all created things in general and to all people in general. It is sometimes also called "natural revelation" because this revelation comes through the medium of nature or creation. A number of biblical passages teach about general revelation. For instance, we find the concept mentioned in Psalm 19:1-6, Acts 14:15-17 and Acts 17:26-27. But perhaps the fullest description of general revelation in the Bible appears in the familiar verses of Romans 1:18-32. To look into this biblical teaching we should touch on two matters: first, the medium of general revelation; and second, the content of general revelation. The wrath of God is being revealed from heaven… God has made it plain to them… being understood from what has been made (Romans 1:18-20). These words tell us that God reveals himself to us through the creation, or as it says here, "from what has been made." Revelation comes through the mammoth galaxies in outer space and through the microscopic nano-world; the physical, the abstract and the spiritual dimensions of creation, even our own existence as human beings — everything in creation mediates God's revelation. Unfortunately, Christians often take these words in Romans 1 as if they referred only to creation in its natural state. We all know how forests, lakes, mountains, and wilderness often turn our thoughts to God. But we often fail to realize that civilization, technology, and human culture as a whole also reveal God. Although they know God's decree, that those who do such things deserve to die, they not only continue to do these things, but also applaud others who do them (Romans 1:32). These words indicate that general revelation comes through what people do with nature, not just through creation in its natural state. Human technologies, science, architecture, politics, family life, art, medicine, music, and the countless products of human culture also mediate God's revelation. We simply cannot escape the revelation of God; it surrounds us at every moment. In the second place, we should note that in Romans 1 Paul also indicated the basic content of general revelation. Now, from one perspective, Paul was not very precise about what people know through general revelation. His lack of specificity probably results from the fact that different people in different places and times encounter and acknowledge different aspects of general revelation. Nevertheless, Paul made it clear that general revelation reveals at least two kinds of information to human beings: God's attributes, and our corresponding moral responsibilities. God's invisible attributes, his eternal power and divine nature (Romans 1:20). In a word, the attributes of God that cannot be viewed directly are seen indirectly in his creation. Every person on the planet knows some dimensions of God's character because, as Paul put it in Romans 1:19, "God has made it plain to them" in general revelation. For example, the beauty of creation points to God's astounding beauty; the provisions of nature for human life demonstrate his goodness; the mere size of creation reveals his enormity; the complexity of creation shows his wisdom; and the power of nature reveals his divine power. In other words, various aspects of creation reveal moral responsibilities that we bear before God. For instance, the biological distinctions between male and female reveal our obligation to practice heterosexuality. Children's dependence on parental care reveals both parents' obligation to care for their children, and children's responsibility to honor their parents. The suffering of human beings in famine and war reveals our obligation to show mercy. Everywhere we look, the creation calls out to us, demanding that we conform our lives to the moral standards God exhibits in and through the creation. Now that we have touched on the doctrine of general revelation, we should turn to a second form of revelation, namely, special revelation. This form of revelation has been called "special" largely because it is not given to all people in all places, but is given to specific or special segments of humanity. Special revelation has taken many forms throughout history, but from the Christian point of view God disclosed himself most clearly and fully in his Son, Jesus. Long ago God spoke to our forefathers through the prophets at many times and in various ways, but in these last days he has spoken to us by his Son, whom he appointed heir of all things and through whom he made the universe. The Son is the radiance of God's glory and the exact representation of God's being (Hebrews 1:1-3). Prior to the coming of Christ, God revealed himself and his will in many special ways. He spoke directly to people, gave them supernatural dreams, opened their eyes to visions and spoke through prophets, priests, kings and sages. But none of these revelations compares to the fullness and supremely glorious revelation in Christ, the Son of God. Jesus' life and teachings are the premier special revelation of God. And for this reason, it is quite appropriate to say that the standard for Christian theology is God's revelation in Christ. Now, this commitment to Christ as God's supreme revelation leads to a number of important implications. But for our purposes, one of the most important and practical implications is that we should also be committed to Scripture as God's revelation. Everyone familiar with Jesus, or with first-century Palestinian rabbis in general, for that matter, knows that Jesus looked to the Scriptures of the Old Testament as the special revelation of God. He never questioned the Scriptures, but fully submitted himself to them, and called others to do the same. His example instructs his followers to rely on Genesis through Malachi as our guide in all we think, do and feel. Beyond this, as our great teacher, Jesus ordained special disciples, his apostles, to formulate authoritative revelation for the church, and their revelation is infallibly summarized in the New Testament. So, those who look to Christ as the supreme revelation of God must follow his example and submit to his teaching by receiving the Old and New Testaments as God's special revelation for his people today. Now that we have seen that in our day God's revelation can be found both in creation and in Scripture, we should turn our attention to the interconnections between special and general revelation. These interconnections will help us see that we should never neglect either form of revelation. We will touch on two aspects of this matter: the overlap between general and special revelation; and the need for both forms of revelation. Let's look first at the overlap between general and special revelation. As much as we often speak of general and special revelation under separate headings, we need to recognize that these two forms of revelation overlap significantly. To see this, we must acknowledge the variety of content found in both forms of revelation. On the one side, special revelation in the Scriptures touches on many subjects that form a continuum between extraordinary and very common insights. Some portions of the Bible are so extraordinary that no one could have written them through normal observations or experiences, even with divine guidance. These portions of the Bible are esoteric — they were given in extraordinary, supernatural ways. Perhaps the most obvious examples of this kind of material in the Bible are portions of books like Daniel, Joel and Revelation. The men who wrote these materials received their information through visions and other supernatural revelations given particularly to them. In this sense, we may call these portions of Scripture "very special revelation." In addition to this, a sort of middle ground appears in Scripture where we find a mixing of esoteric insights and insights granted by the Spirit through ordinary means. Take, for example, a biblical, historical book like Kings or the Gospel of Luke. The writers of these books explicitly mentioned that they collected much of their data from ordinary human sources. Kings mentions the royal annals of Israel and Judah. Luke mentions eyewitnesses of Christ's life from whom he gathered his information. Special supernatural insights were certainly added as the Spirit of God guided these biblical writers. They had insights into the accuracy of the information they found in their sources, insights into how to interpret their sources, and insights into information not found through ordinary means. So, in this sense, these portions of the Bible mix the esoteric and the ordinary. Ants are creatures without strength, yet they store up their food in the summer (Proverbs 30:25). This statement is inspired and true, but it resulted from observing nature, not from receiving an esoteric vision. So, in this sense, special revelation contains materials that we often commonly associate with general revelation, the kinds of things that practically anyone can notice about the world. We may even say that these portions of the Bible are "generalized special revelation." Now, just like special revelation, general revelation also includes a wide variety of content. On one end, general revelation contains very common elements, things that are known to most if not all mentally competent people who have ever lived on the earth. Nearly everyone has known that the world is immense, covered by a vast expanse of sky. And most people can remember times when they have experienced their moral conscience. These nearly universal experiences have always revealed God and his will for humanity. We may speak of them as "very general revelation." Toward the center of the range of general revelation are mixtures of common and extraordinary elements of general revelation. These are experiences of creation that are given only to some because they are limited in some way, such as by time or space. For instance, the winds of a terrible hurricane display the mighty power of God. But many people never experience a hurricane. The heights of the Himalayan Mountains reveal the glory of God, but most of the human race has not seen the Himalayas first-hand. Because we all face many limitations, not all general revelation goes to all people all the time. On the other end of the spectrum are rather extraordinary elements of general revelation, the times when people explicitly acknowledge, even in their religious beliefs, some of the truths that God has revealed. The fact is that general revelation includes things that we often associate more closely with special revelation. For instance, some non-Christian religions believe that there is only one God. Many religions distinguish between the ordinary and sacred in ways that parallel the true Christian faith. Murder is condemned in most religions. Basic social justice is extolled by many different faiths. In the ancient world of the Bible, other religions often closely resembled true biblical faith in some remarkable ways. And even today, missionaries report that some unreached peoples have beliefs similar to the Christian faith. In such cases, we may speak of "specialized general revelation." So, as we reflect on the roles of special and general revelation in theology, we need to remember two things that are often forgotten. On the one side, we need to remember that the Scriptures teach us some things that are neither esoteric nor unknown by other means. They also teach us with divine authority about things that are relatively common and can be discerned through general revelation as well. This is why we look to the Scriptures as our authority not only in purely religious and moral matters, but also as they touch on history and science. On the other hand, we also need to realize that general revelation has much to teach us about matters that we normally reserve for Scripture. In fact, as we will see in these lessons, many theological truths addressed by Scripture are also disclosed in general revelation. This is why we must look carefully at general revelation for divine guidance even in matters that are highly religious. Now that we have acknowledged that general and special revelation have a wide range of things to offer for theological reflection, we should turn to a second concern. Why do we need both forms of revelation for theology? What does each one contribute to the theological enterprise? On the one hand, we need special revelation because it exceeds general revelation in a number of ways. Special revelation is designed to specify, clarify and to reveal God and his will beyond what general revelation presents. As a number of theologians have observed in recent decades, God provided both special and general revelation to Adam and Eve while they were still in the state of innocence before their fall into sin. Because Adam and Eve were without sin, we can be confident that they knew much about God and his will for them as they looked at the creation. Yet, even before sin, theology was not to be derived by observing creation without the guidance of special revelation. God also gave his special word to Adam with specific instructions regarding the tree of the knowledge of good and evil, keeping the garden, multiplying, moving beyond the borders of the garden, and exercising dominion over the whole earth. Beyond this, once sin came into the world, special revelation also focused on God's plan of redemption. Although general revelation reveals that we are under God's judgment, only special revelation discloses salvation in Christ. Especially since the fall into sin, the process of building theology out of general revelation, what has sometimes been called natural theology, must be guided by special revelation. Otherwise, we will more than likely mishandle what God has revealed in creation. With our need for Scripture in mind, we should also look at our need for general revelation. Why isn't it enough simply to build our theology from the Bible? What does general revelation contribute that we do not find in Scripture? Now, as we have said, we never approach nature or general revelation without the authoritative guidance of the Scriptures. But at the same time, we should realize that the Scriptures only address a limited number of things directly, and that the Scriptures speak of relatively few things compared to the breadth of general revelation. General revelation provides the context that special revelation requires in order to communicate. To apply a principle we have learned in earlier lessons, various aspects of general and special revelation form webs of multiple reciprocities. This role for general revelation appears in at least two ways. On the one hand, what we learn from general revelation enables us to understand special revelation. Think about it this way. We all know that a person must be able to read, or at least understand language to some degree, to access the revelation of Scripture. But how many of us learned how to read or understand language by poring over the words of the Bible without help from other sources? Almost certainly the answer is "none." Most of us learned language from a parent or caregiver, with the aid of objects and actions involving other elements of creation. And we later learned to read by similar means. Only by building on what we had learned from these aspects of general revelation were we then able to approach the Bible. In fact, our dependence on general revelation is even deeper than this as we come to the Scriptures. We would not even have Bibles to read if it were not for what people learned from general revelation. Translators of the Bible learn how to translate; the printers learned how to print; publishers learned how to publish largely from general revelation. In these very basic senses, we must give attention to general revelation because it equips us to study special revelation. On the other hand, general revelation is also necessary for successful application of the Bible. For example, the Bible touches on many different subjects and gives infallible principles to follow. Yet, to apply these principles we have to know something about the creation to which we are applying them. The Bible tells us that husbands are to love their wives, but to apply this biblical principle we have to know some things from general revelation. What is a husband? What is a wife? We also have to know what it means to show love to a particular wife in her specific situation. In this sense, the faithful application of Scripture is always dependent on the general revelation of God. So, in a word, we see that God has revealed himself in general and special revelation, and that he expects us to find his revelation both in creation and in the Scriptures. Neither form of revelation was designed to stand on its own. God has ordained that we must hold fast to both as we build our theology. Having seen that Christians must find God's self-disclosure in his special and general revelation together, we should turn to our second topic: how are we to understand revelation so that we may derive theology from it? There's an important distinction to be made here. Just as it is one thing for someone to give you a gift, and another thing for you to use it properly, so it is one thing for God to give us his revelation, and another thing for us to use it properly in theology. Now, Romans 1 teaches that God has revealed himself in creation with enough clarity that all people know him to be worthy of worship and that they stand under his judgment for their rebellion. Yet, understanding both general and special revelation beyond these basic levels is not so simple; it's a complex process of reflection. To see how this process of understanding revelation takes place, we will focus our attention in three directions: first, we will explore the hindrance of sin; second, we will explore the illumination of the Holy Spirit; and then, third, we will touch on the results of this dynamic on our theology. Let's look first at how sin hinders us as we seek to understand God's revelation. As sad as it is, we must acknowledge that sin has had such a severe effect on human beings that if God were to leave the influence of sin unchecked, we would reject his revelation with all of our strength. Apart from God's common and special grace, every attempt to acknowledge and develop our theology from God's revelation would be in vain. In traditional theological terms, this problem is often called "the noetic effects of sin," deriving from the Greek word for mind, nous. To unpack these noetic effects of sin, we will look first at how sin darkens our minds to general revelation, and then at how it does the same to special revelation. Although every person on Earth knows some dimensions of general revelation, sin causes us to suppress much of what we know and blinds us to much of what general revelation has to offer. In Romans 1:18, Paul said that sinful Gentiles who know the truth of general revelation "suppress the truth by their wickedness." In other words, sin compels us to suppress the truth that is clearly revealed through creation; we deny and turn away from general revelation. Paul also wrote that as unbelievers violate the moral principles revealed in general revelation, God gives them over to "the sinful desires of their hearts," "to shameful lusts," and "to a depraved mind." Lust and depravity guide our hearts, so that we have, as it were, skewed or damaged vision. It is not that we cannot see any of the truth of general revelation, for we do. Rather, to the degree that we are bereft of God's grace, we twist the facts of general revelation into conformity with our depraved desires. We call the truth a lie, and the lies, the truth; we call good evil, and evil good. Having seen how sin corrupts our ability to make appropriate use of general revelation, we should now turn our attention to special revelation. How does sin affect our use of special revelation, especially the revelation of God in Scripture? The Bible itself shows that sinful human beings resist the teaching of Scripture if left without the mercy of God. Jesus commented on this in John 5:39-40, when he said that the Pharisees misappropriated the Old Testament. Peter commented on Paul's writings in much the same way in 2 Peter 3:15-16, when he said that people distort Paul's writings as they do other Scriptures. Apart from God's grace, sinful human beings tend to mishandle and to misappropriate the Scriptures. This problem of sinful misinterpretation of the Bible is not limited to unbelievers; it infects believers as well. One example that comes easily to mind is how many European and American theologians believed that the Scriptures supported the African slave trade of the 17th, 18th and 19th centuries. How did this happen? How could Christians so misconstrue the Scriptures? The answer is that sin hinders even our ability to handle the Scriptures. No matter the strength of our intellect or the depth of our biblical knowledge, we should be utterly convinced that we are all twisting and perverting special revelation in some way. The more we are aware of our shortcomings and biases, the more we can prevent this type of misreading, but we will all go to the grave not knowing some of the ways we have misread the Bible. The noetic effects of sin explain many of the problems we encounter when deriving theology from God's revelation. The Scriptures and creation both reveal God and his will to us, but we who interpret God's revelation are sinners. We do not always understand his revelation in creation or in Scripture. This is the sad reality of doing theology in a fallen world. Now that we have seen how sin deeply affects our ability to handle general and special revelation properly, we should turn to our best hope for understanding revelation properly: the illumination of the Holy Spirit. All too often Christians do not understand the extent to which deriving true theology from revelation results from the personal ministry of the Holy Spirit in our lives. Instead, they put their confidence in the natural abilities we possess as human beings. In the spirit of Enlightenment modernism, we think we can build a true theology if we are rational and if we apply well-defined methods to God's revelation. But in reality, our rational abilities do not exist in isolation from the fallen condition of creation. In our fallen state, sin darkens our minds, including our linguistic and logical abilities, so that we often fail to understand revelation properly. Something more is needed; something that empowers our rational, linguistic and, for that matter, empirical capacities; something that enables us to understand general and special revelation as they actually are and thus to form true theology. Only illumination from the Spirit of God can bring such light to our blind eyes. To explore the illumination of the Spirit, let's look first at how he grants insight into special revelation and then how he opens our eyes to see general revelation as well. I pray that the God of our Lord Jesus Christ, the Father of glory, may give you the Spirit of wisdom and revelation so that you may know him better. I pray also that the eyes of your heart may be enlightened in order that you may know the hope to which he has called you (Ephesians 1:17-18). Now, it is important to realize that the Spirit's illumination of special revelation works in different ways. On the one hand, the Scriptures make it clear that the Spirit of God operates in non-redemptive ways so that even non-Christians understand many aspects of special revelation. According to Numbers 24:2, the Spirit of God came upon Balaam, the pagan prophet, granting him insight. And in John 11:49-51, Caiaphas, the high priest who played a significant role in Jesus' crucifixion, prophesied truly concerning Jesus' crucifixion. In Matthew 21, the Pharisees understood that the parable of the wicked tenants applied to them, but they responded with a murderous plot rather than genuine repentance. In a similar way, the writer of Hebrews in 6:4, spoke specifically of the illumination of the Spirit for people whose salvation he later questioned. We may call these examples the "common operations of the Spirit," in the context of "common grace." They are some of the many non-redemptive roles that the Spirit performs in this world. This is why even unbelievers can understand and teach theology that accords with the Scriptures. It is the result of the Spirit's work on them, even though they are not redeemed. At the same time, it is important to remember that the church is the temple of the Spirit. The church is the repository of his special presence and ministry in the world. He gives his redeemed people saving knowledge of the word of God. And it would be right to expect the Spirit's illuminating work to be greater among believers than unbelievers. In fact, we would be right to expect that believing theologians learn from the Spirit in ways that far exceed unbelievers. The vital role of the Spirit's illumination of our minds toward special revelation raises a very important matter for every Christian theologian to remember. Because the Spirit of God alone illumines us, Christian theologians must consciously and sincerely devote themselves to keeping in step with the Spirit. Christian theology is not an impersonal project that we accomplish in our own strength. Highly personal contact with and sanctified sensitivity to the work of the Holy Spirit is required if we hope to derive true theology from special revelation. We have grounds to hope that our theological conclusions are properly derived from the Scriptures only as we give ourselves wholeheartedly to seeking the lead of the Spirit of grace. With the Spirit's illumination of special revelation in mind, we will now turn to illumination and general revelation. Most Christians are familiar with the idea that to understand and apply the Scriptures correctly, we need the illumination of the Spirit. At the same time, we must also remember that the Spirit also gives men and women the ability to handle general revelation properly. There are many ways we see this truth in Scripture. One important way the Scriptures address this matter is in the doctrine of wisdom. In the Bible, wisdom is a God-given, proper understanding that focuses especially on general revelation. And where does wisdom come from? The Spirit of God teaches wisdom. In Daniel 5:14, the pagan king Belshazzar recognized that Daniel's wisdom was of divine origin. In Proverbs 2:6, we read that all wisdom comes from God. In a similar way, according to Exodus 31:3, the artisans Bezalel and Oholiab performed craftsmanship well because they were filled with the Holy Spirit. These and other passages with similar concerns teach us that the Spirit's illumination is not only necessary for special revelation but for general as well. Whenever we come upon these matters in secular writers, let that admirable light of truth shining in them teach us that the mind of man, though fallen and perverted from its wholeness, is nevertheless clothed and ornamented with God's excellent gifts. If we regard the Spirit of God as the sole fountain of truth, we will neither reject the truth itself, nor despise it wherever it shall appear, unless we wish to dishonor the Spirit of God… But if the Lord has willed that we be helped in physics, dialectic, mathematics, and other like disciplines, by the work and ministry of the ungodly, let us use their assistance. As Calvin said here, the Spirit of God teaches both believers and unbelievers the truth of general revelation. He is the sole fountain of truth. For this reason, attempting to build Christian theology in the power of the flesh even with regard to matters related to general revelation is as foolish as seeking salvation in the power of the flesh. All of this is to say that successfully deriving theology from God's revelation is not something that happens automatically or something you and I can do in our own strength. When done properly, understanding revelation is a humbling, religious experience in which we constantly crash into the limits of our natural abilities and find ourselves constantly renewing our dependence on the Spirit of God. The dynamics of sin and the Spirit in our understanding of general and special revelation prepare us to expect certain results in the process of forming a theology. Often the tension between sin and the Spirit causes us to face situations where the findings of special and general revelation seem incompatible. Building a theology is relatively simple so long as everything we believe from the Scriptures fits easily with our understanding of general revelation. For instance, it's not difficult to believe that the Bible is true historically so long as scientific evidence seems to support it. It's not hard to hold that stealing is immoral since there are so many people who see the social ills that stealing causes. But let's be honest with each other. Often, we read one thing in the Bible, and find something that seems quite contrary in the world around us. We learn something from our experience of life, but then discover that the Bible seems to teach the very opposite. Now as we have seen, Christians must build theology by relying both on general and special revelation. We cannot deal with these problems simply by rejecting special revelation or rejecting general revelation. How then should we handle apparent conflicts between these two sources of revelation? What do we do when we find something in the Bible that seems to contradict the findings of science or ordinary experience? In the first place, we should enter such situations with the firm conviction that general and special revelation never actually contradict each other. In both general and special revelation, the same God is speaking — the God who only tells truth because he cannot lie. Moreover, we should also realize that God has no difficulty putting together what he reveals in all of creation and in Scripture. No matter how irreconcilable these two sources of revelation may appear to us, we know from God's point of view, and thus in reality, that they are both true and quite compatible. In the second place, we must remember that when we speak of what we know from special and general revelation, we are never dealing with revelation per se, but with our understandings of revelation, understandings that always fall short of perfection. Although general and special revelation never actually conflict because they are both from God, our understandings of them certainly can conflict because they are from us. So, when we encounter apparent discrepancies between special and general revelation, there are four main ways to evaluate the situation. First, it is always possible that we have misunderstood special revelation and that we must change our interpretation of Scripture without rejecting the Bible itself. Second, conflict may arise when we may have misunderstood general revelation. Frequently, we draw conclusions from experience that must be corrected by the Scriptures. Third, we may have misunderstood both special and general revelation. It is always feasible that our experiences of the world do not seem to match up with biblical teaching because we have failed to grasp Scripture correctly and we have failed to assess our experiences correctly. Fourth, we may have encountered a mystery that is simply beyond our human comprehension. For example, our experience of general revelation certainly leads us not to expect three persons to be one being. Yet, this is what the Bible teaches us about God. How can we reconcile these two viewpoints? We can't. The doctrine of the Trinity is a mystery beyond our grasp. Now, as a practical matter, we cannot always tell which of these four situations we are facing. So, many times we must simply act on the basis of where we put the burden of proof. Do we place a heavier burden of proof on our interpretation of Scripture or our interpretation of general revelation? Well, Christians go in different directions in this matter. All Scripture is inspired by God and is profitable … that God's minister may be perfectly equipped (2 Timothy 3:16-17). At the same time, however, in good faith we must always remember that because our understandings of Scripture are flawed by sin, we may need to revisit issues time and again. The practice of faithful believers through the ages has been to yield their judgments to what they believe the Bible teaches, even though they know that they may need to correct their understanding of the Bible later. This way of wisdom and submission calls upon us to construct theology out of what we sincerely believe the Bible teaches. The fact that deriving theology from revelation is riddled with difficulties resulting from the dynamics of sin and the Spirit raises our third main topic in this lesson: in such a complex situation, how can we develop confidence in our theological positions? There is a slogan that used to be popular among evangelical Christians that went something like this. "God said it; I believe it; that settles it." Well, in many ways this statement is true. It says what we have been saying throughout this lesson. If God has revealed something, then we should believe it and that should settle it. But this slogan overlooks that fact that we do not always understand God's revelation correctly. Just because we think God said something, does not mean he actually did. So, we have to ask a serious question: how can we develop confidence that we have understood God's revelation correctly, so that we can say with certainty, "God said it; that settles it?" To explore developing confidence in theology, we will touch on three considerations: first, we will see that confidence in theological positions has an analog quality; second, we will explore how confidence ordinarily results from a process of deference; and third, we will explore how we should establish the appropriate alignment of confidence on different theological positions. Let's look first at the idea that confidence in theological conclusions has an analog, not binary quality. To understand this difference it helps to draw on an analogy from two common types of light switches. A simple on-off light switch may be thought of as binary. It is either on or off. This kind of switch is similar to the ways many evangelicals think about their beliefs. They often simply think of things that they know and things that they don't know. "I believe Christ is the Son of God." "I believe God is Triune." These affirmations are firm beliefs. Yet, evangelicals have lists of things they consider unknowable or unknown. "I don't know how a good God allows evil." "I don't know when Christ will return." These kinds of statements indicate that we do not know what to think; we have no confidence in positions taken on these subjects. This binary approach to theological convictions is adequate in many circumstances. It is a kind of short-hand to say "I know about this, but I don't know about that." Yet, when we look more closely at the whole range of things that we know and don't know as Christians, we see rather quickly that the situation is more complex than a binary model suggests. 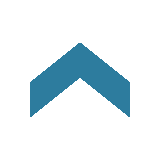 Now, most of us are also familiar with dimmer light switches, the kinds of switches that have a range of lower and higher settings. This kind of switch is analog.  The electrical current is not simply on or off, but the current flows with more or less strength. At the extremes, the current is fully off and fully on, but the entire range in between is important as well, for it provides softer to brighter light. In many respects, these analog light switches provide a very helpful model for assessing the confidence we should have in different theological positions. We do not simply have confidence in some beliefs and no confidence in others; we have a whole range of more and less confidence in theological positions. Think about the ways we think about things outside of theology. Every human being holds to lots of beliefs. For example, I believe that it will not rain today. I also believe I have a job as a seminary professor. And I believe that I have a granddaughter. Now, even though I can say I believe all of these things are true, I do not hold these beliefs with the same level of confidence. One way to test my level of confidence is by asking how much pressure it would take for me to give up each of these beliefs. I can honestly say that it would not take much to change my belief that it will not rain today. A few drops of rain falling on my head would send me running; even a weather report predicting high probability of rain would make me bring an umbrella. I don't have much confidence in that belief. But I would put my confidence that I have a job as a seminary professor at a higher level. I have all kinds of confidence that my teaching job is secure, and I am heavily invested in that belief. It would take much more than a report on television to change my mind. Even if I received a letter, I would want it confirmed in person. But consider what it would take for me to stop believing that I have a granddaughter. There is so much confirming my belief, and she is so dear to me, that it would take an unimaginable amount of evidence to make me believe otherwise, a lot more than anything else on this list. Now, in many respects what is true in common experience is also true in theology. We hold our theological beliefs with varying degrees of confidence. In an earlier lesson we spoke of Christian doctrines, practices and pathos as forming a web of multiple reciprocities. At this point we need to expand this model slightly. It helps to think of this web of multiple reciprocities as suspended in a plasmic sphere. When this sphere is cross sectioned and its interior is exposed, we see that our web of beliefs is arranged in concentric layers. In the outer layer, our beliefs are configured loosely. The outer layer represents the many theological positions that belong on the periphery of our web of beliefs. We have little confidence about them; we have little commitment to them and we find ourselves changing, removing, and adding to these configurations of beliefs with ease and nearly all the time. In the center, or core of the sphere, our web of beliefs is so tightly interwoven that it appears to be nearly one unified solid. The center of our web consists of our core beliefs, the central theological configurations of our faith, which we hold with high levels of confidence. It is very difficult to modify, remove or add to these core beliefs. For when we do, there is a dramatic ripple effect that reconfigures large portions of everything else we believe. Finally, between the core and the outer layer is a series of layers made up of more or less tightly woven webs of belief. The layers closer to the center are more densely configured and are more difficult to modify. The layers further from the center are less densely configured and are less difficult to change. Now, the arrangement of the web of beliefs will vary from person to person, from tradition to tradition, and from one time and place to another. Yet, various levels of confidence appear in every Christian's theology. We believe many things as Christians, but we should not expect to believe all of them with the same measure of confidence. Some beliefs fall on the outer edge, some at the core, and all the others somewhere between. It is always a matter of more or less confidence. This is what we mean when we say that theological confidence is analog. This understanding of our web of beliefs raises a question: how do we assign various levels of confidence to particular theological positions? Through what processes do we come to believe that we have correctly understood God's revelation with greater or lesser certainty? Put simply, the Holy Spirit teaches and convinces us through a process of deference, a process in which we submit ourselves to the influences of several instruments the Spirit ordinarily uses to teach us. Before we speak directly about this process of deference, we should make a distinction between the extraordinary and ordinary ways the Holy Spirit gives us confidence in theological positions. I've found it helpful to think about these matters along the lines of the many ways in which God acts in his providential control over all of creation. God in his ordinary providence, maketh use of means, yet is free to work without, above, and against them, at his pleasure. Notice how God's providence is described here. This statement describes how God uses second causes, or created instruments, to carry out his will on earth. He works out his plan ordinarily "through" second causes; he uses created instruments to accomplish his goals. But at the same time, God is not locked into this ordinary way. He is free to accomplish his will without, above and against created instruments. In much the same way, it is helpful to distinguish between the extraordinary and ordinary ways in which the Holy Spirit illumines us and confirms our theological positions. From time to time, all Christians have experienced that the Holy Spirit gives us insights and strong convictions even when we were not looking for them. Something comes to mind when we don't expect it; commitments swell within us with no explanation. In many situations like these, the Spirit of God is working without, above and against the second causes he normally uses. These extraordinary works of the Spirit are important, but in formal theology we are much more concerned with the ordinary processes that the Spirit uses. As we have already seen, the church has acknowledged three main ways the Spirit ordinarily grants illumination by identifying three primary areas for formal theological training of church leaders in seminaries: first, the biblical division which concerns the exegesis of Scripture; second, the doctrinal and historical division which concerns interaction in community; and third, the practical theology division which concerns Christian living. In line with this wisdom, it is very helpful to describe the ordinary ways in which the Spirit grants theological confidence as a process of deferring or submitting ourselves to the influences of the exegesis of scripture, interaction in community and Christian living. We will explore all three of these influences in detail in future lessons, but it will help to introduce them here. In the first place, the Spirit of God illumines and confirms us as we learn how to defer to the influence of proper biblical exegesis or interpretation. The field of exegesis, learning the skills by which we may discern the teaching of Scripture, is one of the most important, common and effective means of illumination and confidence building. Do you want to know what God has revealed in Scripture? Do you want to be sure of this? Ordinarily, we must employ exegetical skills that equip us to handle the Bible responsibly. Because deference to the exegesis of Scripture is so vital to the process of developing Christian theology, we will spend much of our time discussing this area in lessons to come. In the second place, the Spirit of God commonly uses interaction in community to illumine our minds and confirm our convictions. Direct biblical exegesis is not the only influence we need in theology. We also need the help of general revelation, especially interaction with other people. In fact, direct exegesis without community is very dangerous. As we see time and again, the first step toward heresy is often exegesis. Interacting with others, learning and evaluating their opinions of what God has revealed, should be crucial in our theology. In the broadest sense, God has ordained interaction with the entire human race to help us, but interaction among believers where the Spirit dwells in his fullness is especially important to the process. When interacting in community we ask questions such as, "What has the church of the past believed about these matters? What do godly believers around me today say about this or that issue? How do my personal opinions compare to the opinions of others?" Deference to community interaction is so vital to the process of deriving theology from God's revelation that we will also spend many lessons in the future reflecting on this area as well. In the third place, Christian living also plays a very important role in granting us confidence that we are following the Spirit's lead. Things like experiences of success and failure, prayers, worship, and service to God are dimensions of general revelation that are also instruments the Spirit ordinarily uses to illumine and to convince us of theological positions. Living for Christ prepares us for good biblical exegesis and interaction with others. And a faithful walk is also the arena within which we test our theological positions. Who we are and what we experience as we live for Christ is a third major influence to which we must defer. The Spirit uses Christian living to illumine our minds and to give us confidence that we have understood God's revelation correctly. In line with these concerns, we will spend a number of lessons investigating Christian living in this series. Up to this point, we have seen that theological confidence is a matter of degree and that the Spirit of God ordinarily uses the influences of exegesis, interaction and Christian living to give us confidence. Now we are in a position to see how we should bring appropriate alignment to the levels of confidence we have in our various beliefs. We will return to the concept of appropriate alignment time and again in these lessons, but it will help to introduce the basic idea at this point. Let me suggest a model for understanding how appropriate alignment of convictions works. I will call this model "the cone of certainty." Imagine that we remove a section from the sphere of our web of beliefs by boring out a cone that extends from the outer edge to the core. Setting this cone upright, the layers of the sphere form a scale of confidence on which we hold our various beliefs. The top of the cone is our core beliefs; the bottom of the cone is the outer edge of our beliefs. In between the top and the bottom are beliefs that we hold with different levels of confidence. One of our major responsibilities as Christian theologians is to determine at what level to place particular beliefs. Once we have decided that a theological position belongs in the Christian faith, we want to know where we should put it in the cone of certainty. Should it be toward the top, held with higher levels of confidence? Or should it be toward the bottom, held with lower measures of confidence? Now, there is no doubt that the Holy Spirit will at times create levels of confidence within us in extraordinary ways. We may find ourselves utterly convinced of something with little justification. We may doubt a point of view with little ability to explain why. At times we simply sense or feel that something is true or false. We should be cautious about these kinds of experiences and submit them to the evaluation of God's word, but these extraordinary works of the Spirit should not be ignored. But what is the ordinary way in which the Spirit leads us to determine where to place beliefs in the cone of certainty? In general terms, we may say that with rare exceptions, we should align our levels of confidence with the results of faithful deference to the influences of exegesis, interaction and Christian living. As we seek to come under their influences, the Spirit brings many of our convictions into appropriate alignment. Now, on a practical level, deferring to the influences of exegesis, interaction and Christian living requires us to ask at least two basic questions: first, how much harmony exists among exegesis, interaction in community and Christian living on a particular subject? The more harmony there is, the more confidence we should have that we have understood a particular matter correctly. A second question may be put this way: when there is significant disharmony, what kind of weight does one influence have over the others? When the weight of one or two influences is heavy, we tend to place this belief higher in the cone of certainty. When the influences of exegesis, interaction and Christian living are disharmonious and of nearly equal weight, we tend to place this belief lower in the cone of certainty. Now, we should be clear that there is no mechanical way to approach the task of appropriate alignment; there is no mathematical calculation to use. The process is more of an art than a science, and we must constantly seek God's blessing as we perform this task. Yet, the process of deference is the path by which the Spirit ordinarily leads his people. As we involve ourselves in the influences of exegesis, community interaction and Christian living, the Spirit will lead us toward the goal of appropriately aligning our beliefs in the cone of certainty. In this lesson we have explored how to rely on God's revelation as we build a Christian theology. We saw that God has given us special and general revelation; so we must depend on his revelation in creation and in Scripture together. We also noted that understanding revelation is harmed by the effects of sin, but furthered by the illumination of the Holy Spirit. And finally, we saw that deferring to the influences of biblical exegesis, interaction in community and Christian living will help us determine what levels of confidence are appropriate for particular theological positions we hold. These concepts are very important for the project ahead because only as we keep them in mind will we be able to reach the goal of building a theology that relies on God's revelation.